If you own your own business you may be used to doing all of the work yourself, bookkeeping, taxes, inventory, etc. Perhaps you enjoy the tasks, or like to be involved in every facet of your company, and this involvement isn’t necessarily a bad thing. But when it comes to legal issues your business may be facing, a DIY approach is probably not the best way to go. How do you know for sure? Well, you’d have to consult a business lawyer to find that out, but here are some tips to help inform you about business lawyers and when would be a good time to get one! A business lawyer conducts the expected business of any lawyer, which is to say, they help their clients resolve legal issues or disputes. This could include drafting of legal documents pertaining to your business (such as liability waivers, employment contracts, business contracts, etc), negotiating terms for buying, selling, or merging of businesses, researching and arguing cases before a court and other commonplace legal tasks. Business lawyers are especially helpful for clients who need extra assistance with specific needs for running a business such as taxation and tax laws, legality of transactions within a business, and intellectual property cases, to name a few. A business lawyer will help keep a business in compliance with laws where business is being done, and that’s a pretty important thing. A small business owner may not even know what laws exist that might be important to their company or not. A business lawyer will be informed of the laws and be able to help a business owner navigate them and stay on the correct side of the laws. Now that you have a basic understanding of what they do, the question becomes why would a business need one? Most of these tasks are fairly easy to do and there is plenty of available guidance to be easily found. A business lawyer may help you make your company’s business a lot easier if you have more complicated issues than the ones listed above. For example, hiring an employee and filling out the correct IRS paperwork is reasonably accomplished, but if your business requires an employee to have access to company/trade secrets, just asking them not to tell anyone isn’t going to be enough of an assurance. These are all examples of where a lawyer with knowledge and experience will be invaluable. After all, do you have the time to research intellectual property law? And again, keeping you in compliance of current laws is a huge burden removed from your shoulders. Federal and state laws are different everywhere regarding things like interstate business dealings, overseas business dealings, building additions to your business property, disgruntled employees, and more. You won’t have the time to research and know the laws and if your business complies. Get a business lawyer, their job is to know this for you. There are also many things that can affect your business you may have not even thought of, such as environmental issues that could arise from your possible product manufacturing, the product itself, where your proposed warehousing may be built, or maybe the office space you has hidden allergens or mold issues and an employee has gotten sick. What are your liabilities? Do you have a lawyer ready to help you? What if you want to sell your business? Will legal considerations arise from that and will you need special contracts to ease the process? All of these issues can be handled by a business lawyer, so it’s a good idea to hire one early on to keep you out of any legal trouble. Also, a good business lawyer will be necessary if you find you need one to get you through a legal issue if you are already in one. If you find yourself being investigated or even sued, a business lawyer can advise you during an investigation and make sure you have all of the proper and correct documentation to expedite the process. How stressful would it be to have to oversee the daily operation of a business and to also be facing and investigation or lawsuit on your own? In the event you do lose a lawsuit, a good business lawyer can help to mitigate damages. 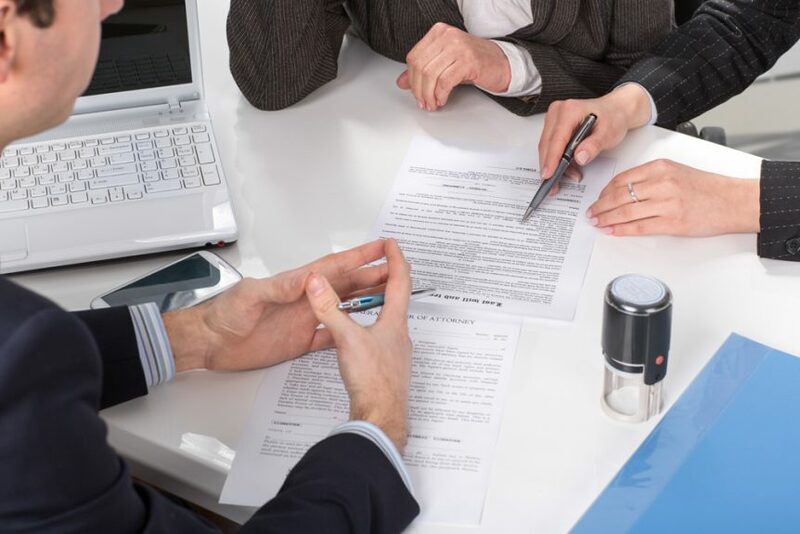 These are the reasons your business could use a lawyer.